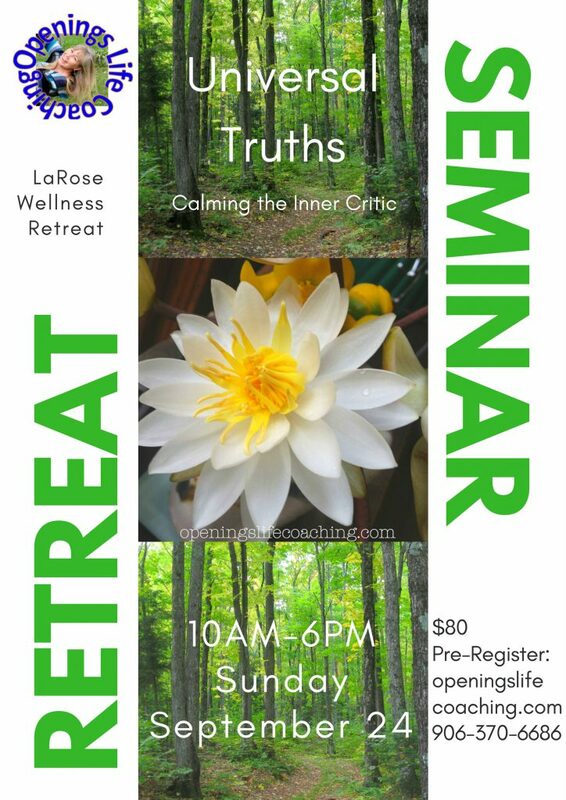 In this interactive Seminar learn about rising above the inner critic while exploring the treasure that you are and relaxing in a spa environment. What if you became more aware of your own light, gifts and strengths you have to offer in the world? Enjoy a Spa Time ~ including hot tub, sauna, pool and lake access, empowering seminar, and a nourishing lunch .